← Dot Com. Dot Done. 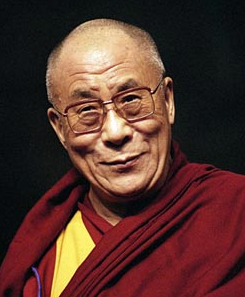 The Dalai Lama; to reincarnate, or not to reincarnate? Over the years many of you have asked me my opinion on the Dalai Lama, reincarnation in general, and the process involved in finding a child reincarnation. I bring this up as last week the Dalai Lama released a statement on the website of the Tibetan Government in Exile entitled the “Statement of His Holiness the Fourteenth Dalai Lama, Tenzin Gyatso, on the Issue of His Reincarnation.” In it he presents and analyses the history, politics, theory, and practice of reincarnation, before going on to present his thoughts on what will happen once he passes on / leaves his current reincarnation. Its a long statement, and so I have linked it here as a downloadable PDF: Statement of His Holiness the Fourteenth Dalai Lama. The final section is the most interesting to me. It is here for the first time that the Dalai Lama specifically sets out a defiant message to China, and the world, that there should be no political interference in this process, should it take place. 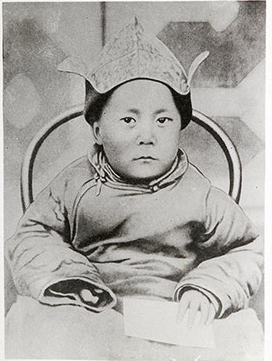 After all it has not been beyond the Chinese Communist Party to issue directives and selections regarding reincarnation, and few should forget the plight of the current XIth Panchen Lama that the Dalai Lama recognised: Following the death of the Xth Panchen, the traditional search committee process involving monks in Tibet was disrupted when the Dalai Lama unilaterally announced his selection of Gedhun Choekyi Nyima. The leadership in China spirited Nyima away to prevent his being taken to India by the Dalai Lama’s supporters and reverted to the Qing Dynasty’s Golden Urn process to select Gyaincain Norbu, who currently fulfills the duties of the Panchen Lama in China. No one has seen Nyima since 1995, shortly after he recognised at only five years old, and the Chinese authorities hold him in an unknown location.